The Nobel Prize winner passed away Sunday at the age of 85. V.S. Naipaul, author of several acclaimed books, maker of several criticised comments, winner of the Nobel Prize for Literature (2001) and the Man Booker Prize (1971), has died at the age of 85. The first time I encountered Naipaul was through A House for Mr Biswas (1961). A part of the MA curriculum at the University of Delhi, the book was tucked into the postcolonial paper that students rarely ever chose. Only six of a class of some 150 students sat together every week to go through Atwood and Naipaul, among others. The classes were held in the ‘new academic block’. All six rarely ever turned up together. Classes most often consisted of two students and the professor. While there were several other texts, this course, for us, became about Naipaul and the trace of his stories on our own. Naipaul’s grandparents moved from India to Trinidad and Tobago as indentured labourers in the 1880s. 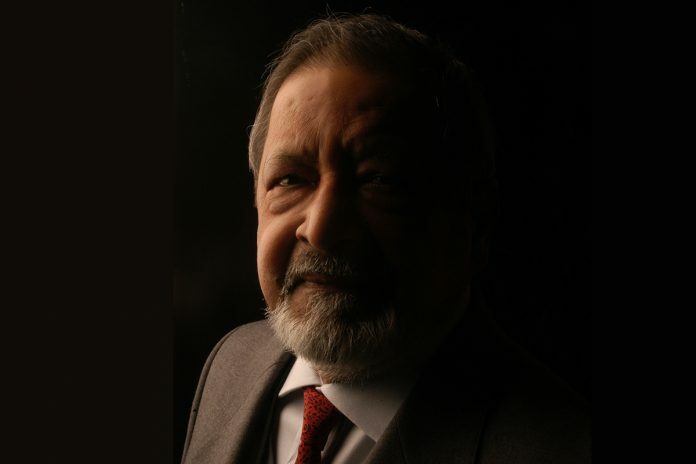 He was born in 1932 to Seepersad Naipaul, an English Language journalist who wrote articles for the Trinidad Guardian. Naipaul grew up reading Shakespeare and Dickens. Titans in their own accord and considered rites of passage for any good student of literature, they wrote of worlds far removed from the one he grew up in. These books were his way out of a childhood in what he described as “an immigrant Asian community in a small plantation island in the New World”. In A Prologue to an Autobiography (1983), Naipaul describes how his father’s reverence for writers and for the writing life spawned his own dreams and aspirations to become a writer. This is perhaps why, today, in an obituary to Naipaul, one also pays tribute to Seepersad. Naipaul is an undeniable product of the hopes and dreams of a father – whether it be the want of a distinctive place, a need to establish superiority, or a refusal to stick to one side of the story. After winning a government scholarship that allowed him to choose any Commonwealth university of his liking, Naipaul moved to University College, Oxford. His early attempts at writing at university were mired in a haze of what he later termed “something like a mental illness”. His first three novels displayed a tendency towards the comic that was soon lost in his writing. A House for Mr Biswas displayed humour in the frighteningly real. To laugh at the inadequacy and ambition an immigrant has as a journalist in an English-speaking world was to laugh at ourselves. All of us identified with the dream that was passed on from our fathers – of establishing our space in the world, defining our own identity, against all odds, and moving a station above the people our fathers were subservient to. As his list of awards grew, so did the criticism against him. He was accused of viewing the developing world with contempt even as he mined it for material for some of his most famous novels. Never a friend to journalists, accounts of his pride and disdain filled newspapers while he continued winning a series of awards, including knighthood in 1989. In A Bend in the River (1979), a character exclaims, “The world is what it is; men who are nothing, who allow themselves to become nothing, have no place in it.” This idea is closely linked to the image Naipaul established for himself, hated but never insignificant. Naipaul’s sordid personal past cannot be forgotten – from stories of abuse of his first wife Patricia (which include his own confessions) to his blatant Islamophobia: Naipaul has never made it easy for supporters of his work. James Wood, in his article for The New Yorker, aptly divided Naipaul into two categories, ‘the wounder’ and ‘the wounded’. This wounder is the man who admitted to being “a great prostitute man” while being married to Patricia Hale; who, in his Nobel prize speech, would leave out Trinidad in order to not “encumber the tribute”. Access to the wounded Naipaul comes only through his characters: The ambition and shame of Mr Biswas, the persistence and longing of Elias in Miguel Street (1959). The writer obsessively returned in writing to feelings he left unexplored in person. It was this that lent the raw emotion to A House for Mr Biswas, a book that was three years in the making but one he did not return to look at often. There are still so many things I do not have an answer for – how do I, as a woman, find space for myself in this tale of fathers, sons and older brothers? Can one count on Barthes enough to use the death of the author as a crutch? Does one’s love for a text justify excusing the political and moral inclinations of its creator? Several attempts to understand the space Naipaul holds lead to feuds with other writers he shares literary space with, especially Salman Rushdie. When I awoke to the news of Sir Vidia’s passing, the tweet this piece begins with is the first thing I saw. There are no clear answers to be had and, on his passing, things get more confusing. But Rushdie’s response makes one thing clear. Naipaul has created a distinct, uncontested space he occupies alone in the recording of our postcolonial history – whether it be the older brother or the spurned son. And as with family, we don’t have to love them, or even like them, to understand that they are still an inextricable part of our story. Nina Sud is manager, development, at Ashoka University. She was formerly involved in the publication of children’s books at Hachette India and is a Young India Fellow. Next articleWhat is this democracy Pakistan keeps referring to?